Tove Jansson’s timeless classic picture book The Book about Moomin, Mymble and little My was first published in 1952. In it, the reader is asked what happened next? 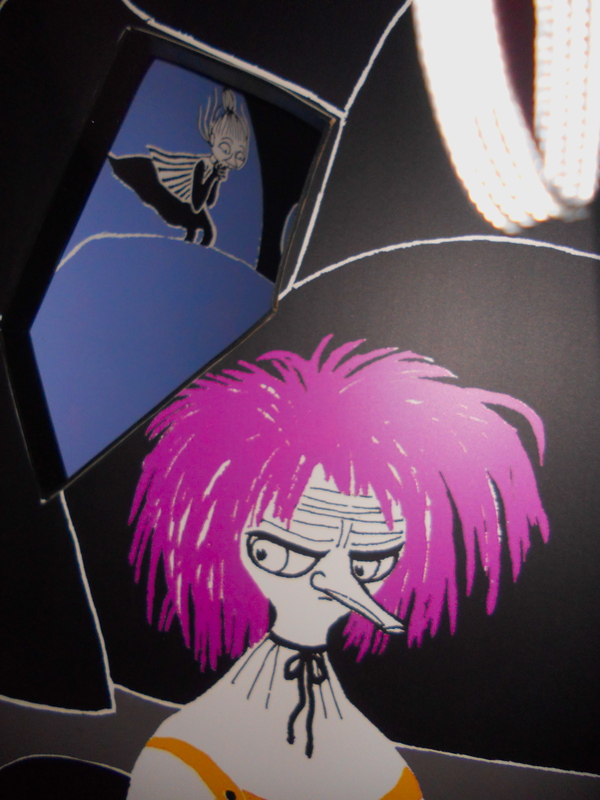 and is invited to follow the Mymble and little My through the holes in the pages. 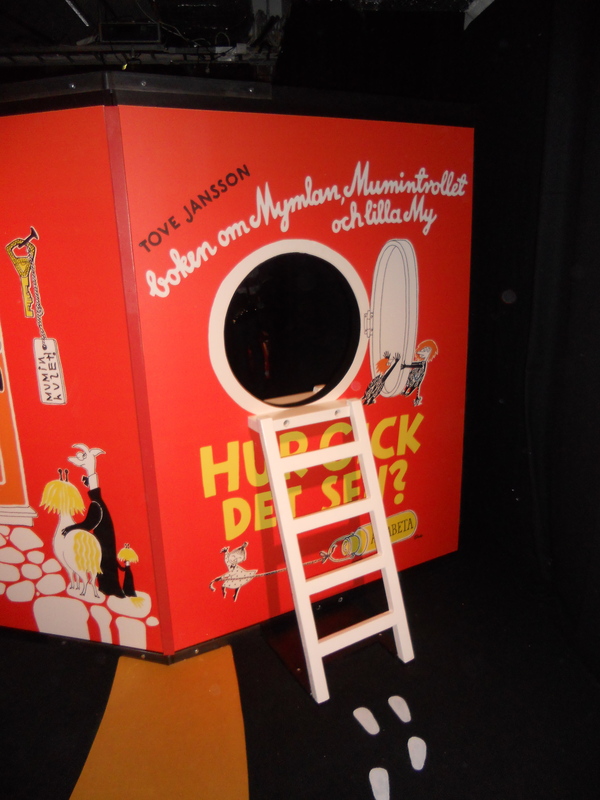 Now, fans of the book can literally climb though the holes of the book – in the exhibition at Kulturhuset in Stockholm (open until 29th of May). 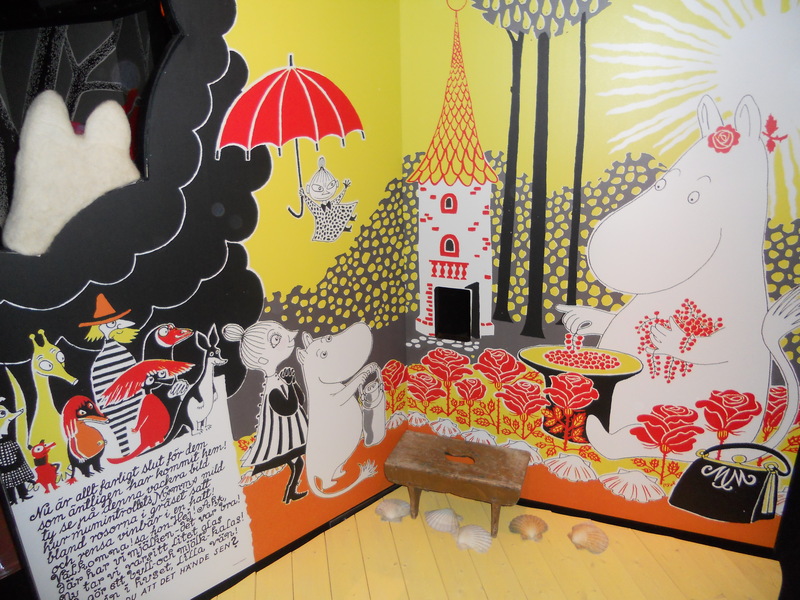 The exhibition coincides with the celebration of Moomin 65th birthday, which makes Moomin the same age as another Nordic children’s book superstar Pippi Longstocking. Tags:Kulturhuset, little my, moomin, moomin 65, Pippi Longstocking, the mymble, Tove Jansson, vad hände sen? These are the words of the CJ Culture Foundation in Korea, which annually awards illustration and picture books in two categories: New Publications and Illustration. This year (the 3rd year of the Award) 447 entries from 29 countries were submitted to the New Publications category and 1110 entries from 37 countries in the Illustration category. 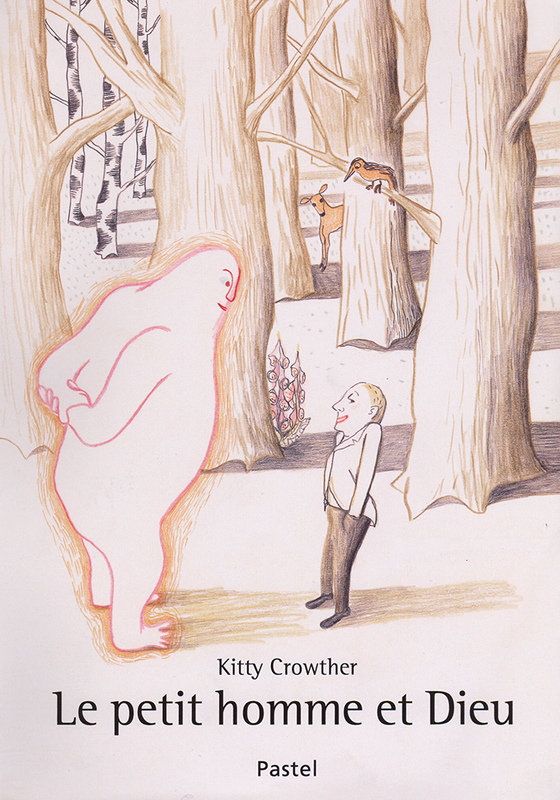 Among the five winners in the New Publications category we find Le Petit Homme et Dieu, the new book by this year’s Astrid Lindgren Memorial Award recipient: Kitty Crowther. Congratulations Kitty! In the Illustration category, Gabriel Pacheco (Mexico), nominated to the 2011 Astrid Lindgren Memorial Award, is one of the winners. See all winners here! 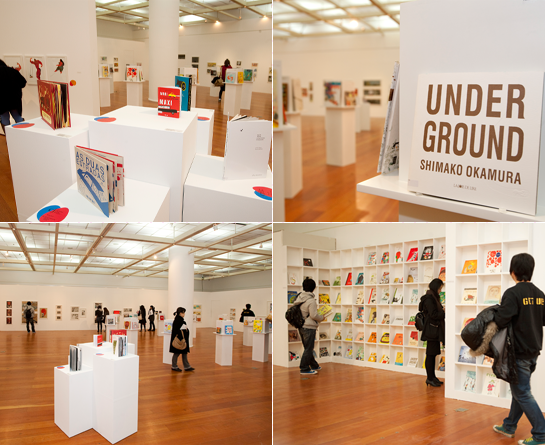 Also, if you are planning to spend Christmas in Korea, all finalists (100 picture books in the New Publications category and 50 illustrations) are exhibited at the Korea Foundation Cultural Center until 28th of December. The Guardian presents a new podcast series appropriately called Twelve Tales for Christmas. Each day, until Christmas, a writer reads and discusses his/her favorite short story. Featured writers include Julian Barnes (reads Hemingway), Helen Dunmore (reads O’Connor) and Jeanette Winterson (reads Calvino). Opening the series is the 2005 Astrid Lindgren Memorial Award winner Philip Pullman, who reads Anton Chekhov’s story The Beauties. About the story, Philip Pullman says: Chekhov’s genius lies in the way he manages to convey with such apparent effortlessness a profound sense of the mystery of beauty, and of the sadness of those who observe and think. The narrator of this apparently inconsequential tale fixes on exactly the right details, from a myriad of possible ones, to strike at the heart. It’s a masterpiece of minimalism. Find the podcast series here and enjoy a new story every day until christmas! President Obama lets the wild rumpus start! At an easter function by the White House, President Obama read Where the wild things are by Maurice Sendak aloud to children gathered. Reading picture books aloud to a group of children is not so easily done. They are best shared sitting next to each other, so both the child and the reader can simultaneously enjoy the text and illustration. That said, President Obama gets an A for effort as he – with much amusement – reads the story. Just watch as he “stares without even blinking once”! Maurice Sendak was the first winner of the Astrid Lindgren Memorial Award in 2003 (together with Christine Nöstlinger). His instant classic Where the wild things are changed the picture book forever. Papiria is the new exhibition at Kinderboekenmuseum in den Haag. 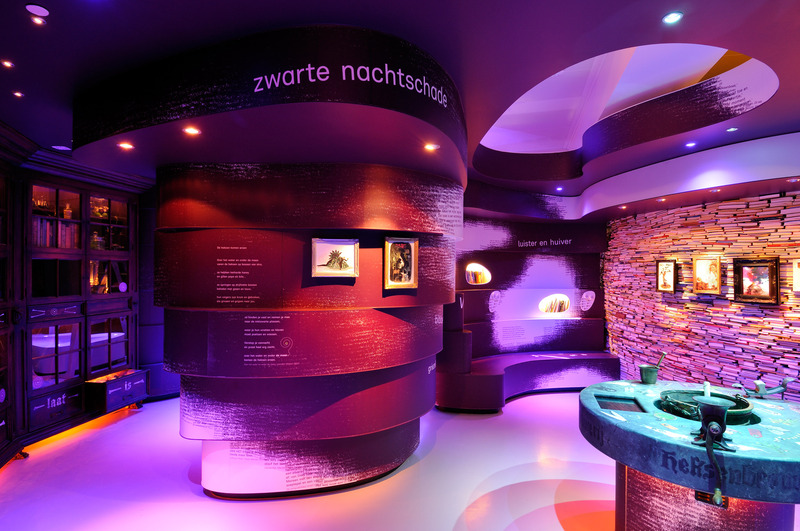 Here children can meet their favorite writers, illustrators and book characters such as Dolfje Weerwolfje, Minoes and – of course – Pippi Longstocking. 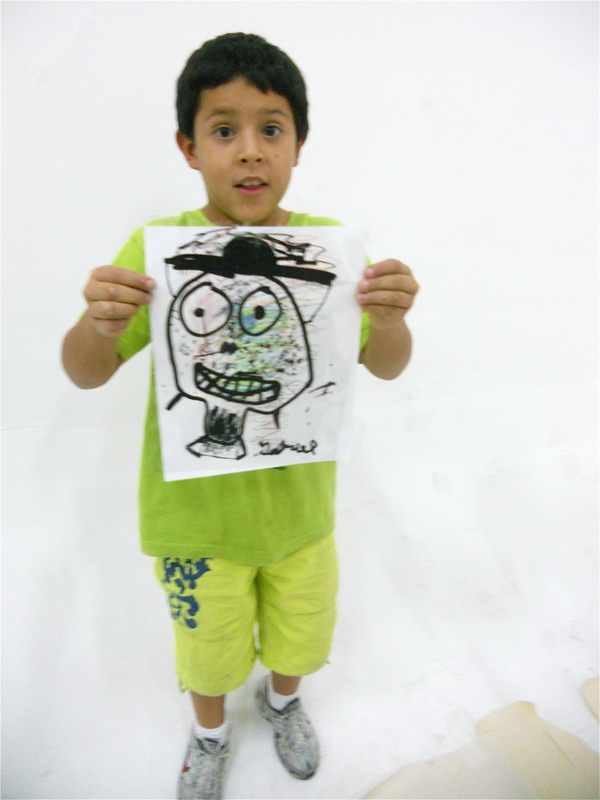 Children also have the opportunity to create stories, rap lyrics or cartoons etc of their own. For the seventh time, Fotokino, arranges Laterna Magica: a myriad of expositions of film, illustration, graphic design and art in Marseille, Aix-en-Provence and Toulon. Guest of honor is Benoit Jacques. His work ranging from illustration, sculpture, film and embroidery is shown in the special exposition Errances, égarements et tergiversations. The film Le Banc, by Kitty Crowther and Bruno Salamone, is part of the Mobilis in mobile-exposition. The film was shown at this year’s Astrid Lindgren Memorial Award ceremony in June – and can be seen below! 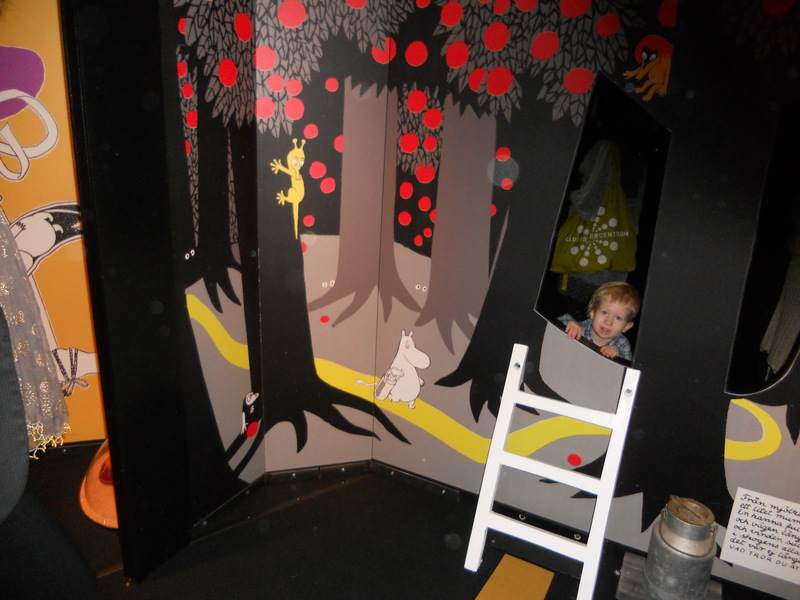 Laterna Magica is on until Christmas Eve! Now it’s time to brush up your French and listen to this very interesting interview with Kitty Crowther from Radio Télévision Belge Francophone! We always like to report new translations of Astrid Lindgren’s books! Today we received two new books from Serbian publisher Kreativni Centar: Lillebror och Karlsson på taket and Emil i Lönneberga. 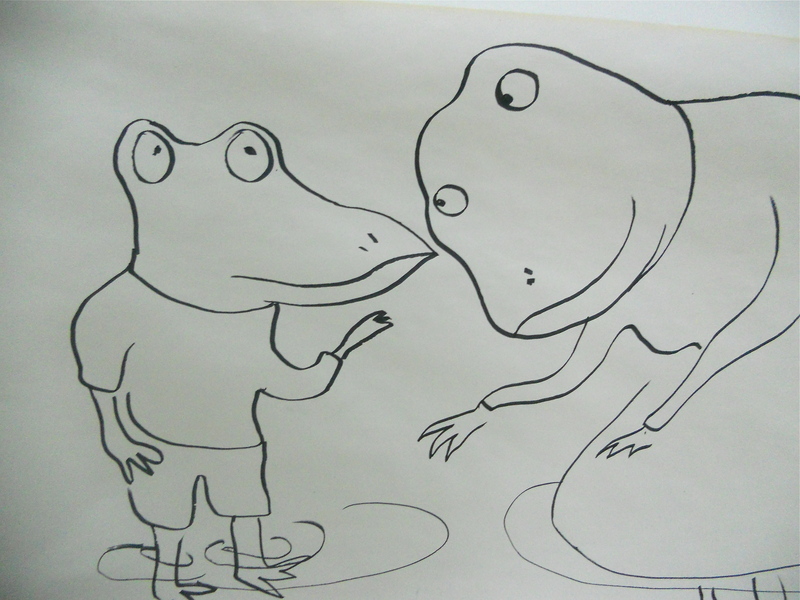 The Emil book uses the original Björn Berg illustrations, as found in the Astrid Lindgren Memorial Award logo, whereas the Karlsson book is illustrated anew by Маја Веселиновић. The first winner of the Jacqueline Wilson Award in Children’s Literature Research was recently announced at Homerton College, University of Cambridge. Professor Maria Nikolajeva, former member of The Astrid Lindgren Memorial Award jury, presented the award to Clémentine Beauvais for her master thesis Training the philosopher-king: Platonic ideology in J.K. Rowling’s Harry Potter series. The award has been made possible through a donation by one of Britain’s most loved children’s book authors, Jacqueline Wilson. It shall be given annually to the best masters thesis in children’s literature submitted at the Faculty of Education, University of Cambridge, within each academic year. It’s wonderful that studying Children’s Literature is now a perfectly viable and respectable academic option. 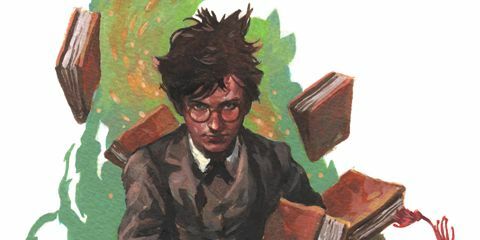 All of us grey-haired surviving practitioners of Children’s Literature remember the strange attitudes of the past. Even though the 1960s are considered the Golden Age of Children’s Literature, somehow those brilliant writers were considered to be indulging in some decorous harmless hobby – like knitting woolly animals or constructing miniature buildings out of matchsticks. 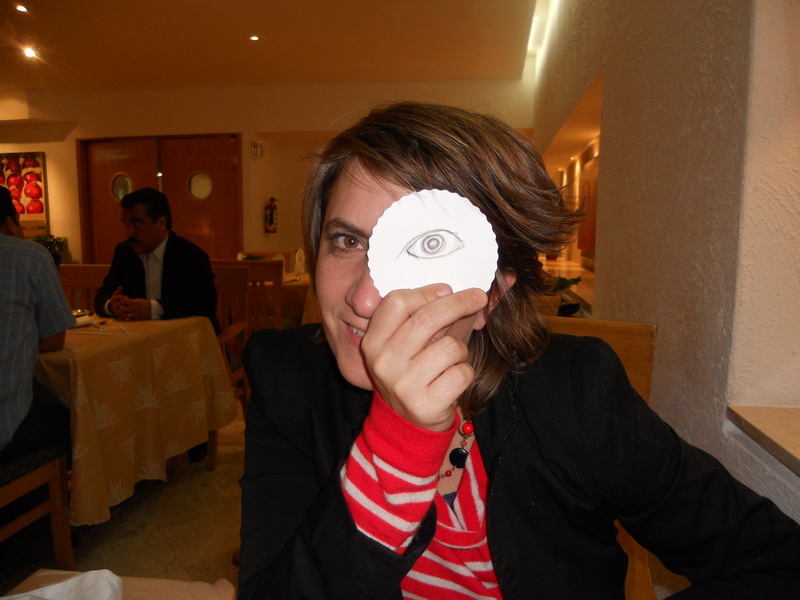 In Guadalajara, we temporarily left the book fair FIL and went to the office of newspaper Mural. In their photo studio 20 excited children ages 6-8 were waiting. First Kitty Crowther drew images from Scritch Scratch dip, clapote! 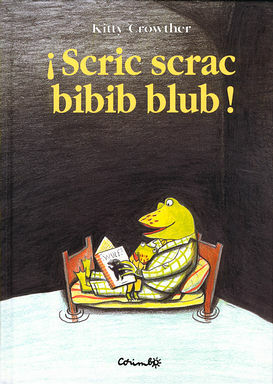 (or Scric scrac bibib blub! 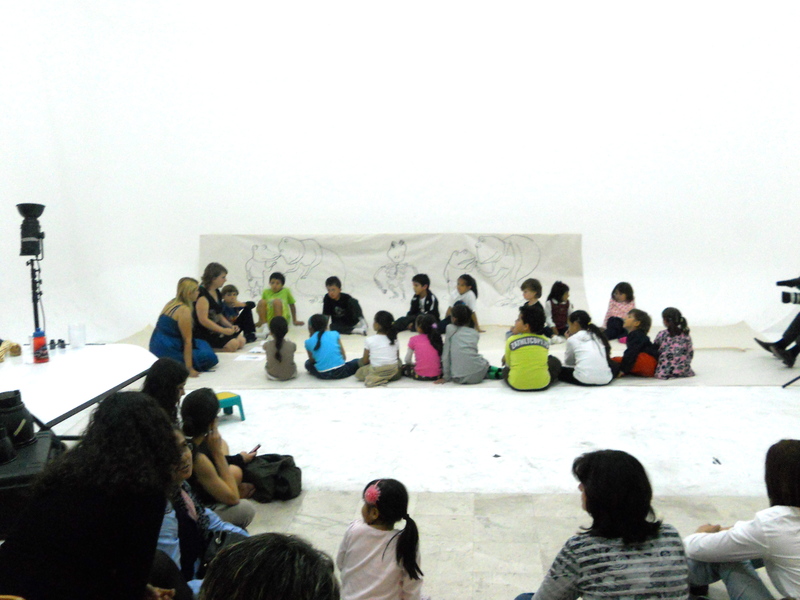 as the Spanish edition is called, published by Corimbo), at the same time as the translator read the story aloud for the children. 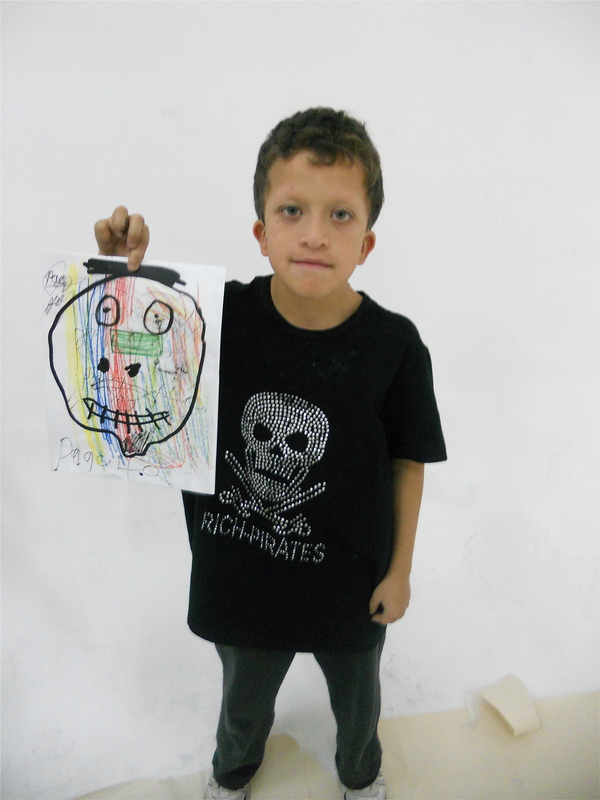 In the book, the little frog is afraid of the dark and imagines a skeleton … After talking with the children about skeletons Kitty Crowther asked the children to draw and decorate their own skeletons or skulls!